IU is recruiting participants for the nation's first graduate-level certificate in innovation and implementation science program. The nine- to 12-month program, which blends part-time online instruction with one-weekend-per-month classroom instruction in Indianapolis, starts in September. The new certificate program will provide working clinicians and health care administrators with the skills needed to coordinate care and deliver population health management to improve health outcomes at a lower cost and applied knowledge on how to successfully identify, implement, localize, evaluate and scale up evidence-based practices -- as well as innovate and invent new models of care and processes, when evidence-based practices do not exist. The Center for Health Innovation and Implementation Science -- funded by the IU School of Medicine and the Indiana Clinical and Translational Sciences Institute -- will provide certificate program participants with the theoretical knowledge and practical elements required to create effective health care catalysts capable of delivering, sustaining and constantly improving the health care systems and the care they deliver. 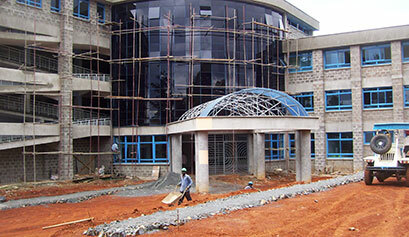 Students in the program are required to have at least two years of health care work experience and a bachelor’s degree. For more information, including an online application, visit the CHIIS website. IU will offer a new minor in clinical research for Ph.D. students starting spring 2015. The minor program will be offered through the Indiana Clinical and Translational Sciences Institute's CERT program, or Career development, Education and Research Training. The program is designed to provide students pursuing a doctorate with an overview of clinical research concepts and skills, including clinical research methodology, clinical trials, research ethics and biostatistics. The minor's requirements include a total of 12 credit hours, including nine credit hours of core courses and three elective credit hours in coursework focused on a specific area of interest. Eligible electives include courses focused on grant writing, biostatistics in public health, patient-reported outcomes and economic evaluation, fundamentals of epidemiology, tools and techniques for translational research and critical inquiry health sciences. Core and elective courses offered under the minor are provided in collaboration with the IU Graduate School, IU Richard M. Fairbanks School of Public Health and IU School of Health and Rehabilitation Sciences at IUPUI. The director of the minor program is Kurt Kroenke, M.D., IUPUI Chancellor's Professor and professor of medicine at the IU School of Medicine, who also serves as director of CERT. Established with the foundation of the Indiana CTSI in 2008, the CERT program developed from the Clinical Investigator Training Enhancement program established at the IU School of Medicine through an award from the National Institutes of Health in 2000. The program, which gained an increased focus on clinical and translational research under the Indiana CTSI, also offers master's degree and certificate programs in clinical research, and a master's degree, minor and certificate program in translational science. R. Mark Payne, M.D., professor of pediatrics and of medical and molecular genetics, serves as director of the translational medicine programs. Dr. Kroenke is also director of the masters and certificate programs in clinical research. The Indiana CTSI program also houses the Indiana CTSI Young Investigator Awards, pre- and post-doctoral training awards programs, and a structured mentorship program. An IU School of Medicine infectious disease specialist and two colleagues have received a $2.2 million National Institutes of Health grant to investigate links between depression, its treatment and cardiovascular disease in adults with HIV. With the success of antiretroviral therapy, cardiovascular disease is now the leading cause of death in HIV-infected adults. 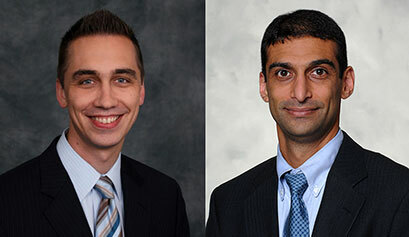 Samir Gupta, M.D., associate professor of medicine at the IU School of Medicine; clinical health psychologist Jesse Stewart, Ph.D., associate professor of psychology in the School of Science at IUPUI; and internist Matthew Freiberg, M.D., associate professor of medicine at the Vanderbilt University School of Medicine, are co-investigators for the four-year National Heart Lung and Blood Institute grant which supports two research projects. The second project explores whether depression treatment could be effective in reducing the risk of cardiovascular disease in HIV-infected adults. In a randomized controlled trial of 110 depressed adults treated with antiretroviral therapy, half will receive usual depression care while the others will also receive an evidence-based, computerized, cognitive-behavioral therapy for depression called Beating the Blues, used by England's National Health Service and recently adapted for use in the U.S. In previous work, Stewart and his collaborators have validated this computerized psychotherapy for depression, which can be confidentially and inexpensively administered. IU School of Medicine students recently paid a visit to Francis Scott Key Elementary School (IPS 103) to help educate children about the dangers of drugs and alcohol. The Adolescent Substance Abuse Program a part of the IUSM Office of Medical Service Learning, provided an hour-long education program Jan. 29 to students at IPS 103 in coordination with the Boys and Girls Club of Indianapolis, which provides after-school programming at the school. The program's most unique aspect is the visual aids used to education children about the body: real, plasticized human organs. "The fact they get to handle real human organs during the lesson always sparks some fun conversation and reactions," said Anna Gaddy, a third-year medical student at the IU School of Medicine and coordinator for the Adolescent Substance Abuse Program. "The kids get to learn about the human body, the negative consequences of drugs and alcohol, and get tips on how to avoid drugs." About 50 children participated in the event, with students rotating through a series of four smaller groups during the hands-on portion of the event. Each station focused on a single organ: lungs, liver, heart and brain. ASAP's next educational event will take place on Feb. 17. Applications for the Indiana Spinal Cord and Brain Injury Research Fund are due 5 p.m. Monday, Feb. 9. The fund is a state grant program established in 2007 to support research related to treatment and cure of spinal cord and brain injuries. Proposals should be related to research on the prevention, treatment and cure of spinal cord and brain injuries, including acute management, medical complications, rehabilitative techniques and neuronal recovery. Questions to Julie Driscol at ictsi@iu.edu. The Society for Immunotherapy of Cancer is accepting applications for the 2015 postdoctoral fellowship in cancer immunotherapy in partnership with Merck. The Society for Immunotherapy of Cancer-Merck Cancer Immunotherapy Clinical Fellowship Award will provide funding support in the amount of $100,000 for one year of salary, equipment, supplies and fringe benefit support to a young investigator. The award also includes travel support to attend an upcoming Society for Immunotherapy of Cancer Annual Meeting and the opportunity to present their work to the cancer immunotherapy community at this venue. Applications will be accepted until Monday, March 9. For more information, visit the Society for Immunotherapy of Cancer website. The Indiana Clinical and Translational Sciences Institute is seeking applications from core facilities at the IU School of Medicine for the purchase of new equipment, software or other resources. Only Indiana CTSI-designated cores are eligible to apply. Applicants may request anywhere from $5,000 to $100,000. Proposals for equipment costing more than $100,000 will be entertained if matching funds to cover the balance are identified. Competitive applications will be those that bring new technology and services to Indiana CTSI investigators; expands existing services or contributes to the strategic research mission of the institution. Indiana CTSI-designed cores are scientific resources certified by the CTSI for high-quality service, including established policies for project prioritization, confidentiality, pricing, conflict resolution and tracking user satisfaction. Applications are due 5 p.m. Friday, March 20. For more application information, or to apply, visit the Indiana CTSI grants portal and enter your IU username and password. Applications instructions are located under "Indiana CTSI/IUSM Core Equipment Funding - 2015.03 (COREQ)." Applications are sought to access advanced technologies and expertise at service cores across IU, Purdue University and the University of Notre Dame. Indiana Clinical and Translational Sciences Institute Core Pilot Grants provide up to $10,000 for the advancement of basic science projects through support from one of 48 Indiana CTSI-designed cores. Indiana CTSI-designed cores, which span the CTSI's partner institutions of IU, Purdue and Notre Dame, are scientific resources certified by the CTSI for high-quality service, including established policies for project prioritization, confidentiality, pricing, conflict resolution and tracking user satisfaction. Proposed projects must possess high potential for generating new intellectual property or extramural grant support. Applications should clearly describe how support from the Indiana CTSI will either “jump-start” a new project or strengthening a planned or pending grant submission. Eligible applicants include faculty members at IU, Purdue and Notre Dame. Applications are due Monday, March 30. Complete guidelines and application forms are available for download from the Indiana CTSI grants portal. Applicants must log in using their institutional username and password. Application instructions are under "Pilot Funding for Research Use of Core Facilities -- 2015.03 (PCF)." Raji Sundararajan, M.D., clinical assistant professor of Medicine at the IU School of Medicine-South Bend, is recipient of the annual Alpha Omega Alpha Volunteer Clinical Faculty Award by the Indiana University Chapter for her work with South Bend campus students. The annual award recognizes a community physician who contributes to the education and training of medical students. Nomination forms were distributed to the entire junior and senior medical student classes with final voting by the student Alpha Omega Alpha's members. Dr. Sundararajan has been on the South Bend faculty since 2009. She serves as course director of Introduction to Clinical Medicine, a second year course focusing on physical examination and introducing systems-based medicine. She is an emergency physician at Memorial Hospital of South Bend. She will be honored during the Alpha Omega Alpha annual ceremony on Feb. 27 in Indianapolis.